The sport curriculum at Dulwich Prep is as dynamic and diverse as possible to inspire each child and unlock potential. 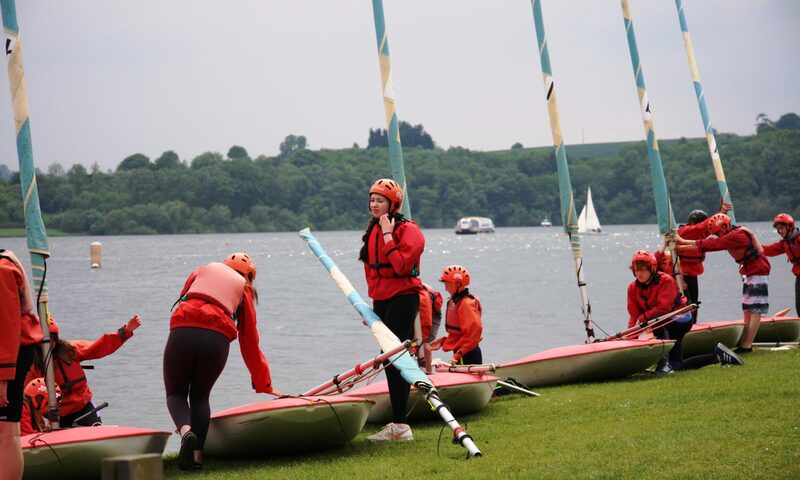 As well as all the traditional core sports, we offer water polo, windsurfing, judo and gymnastics. What Dulwich recognised was that team sports are not for everyone. 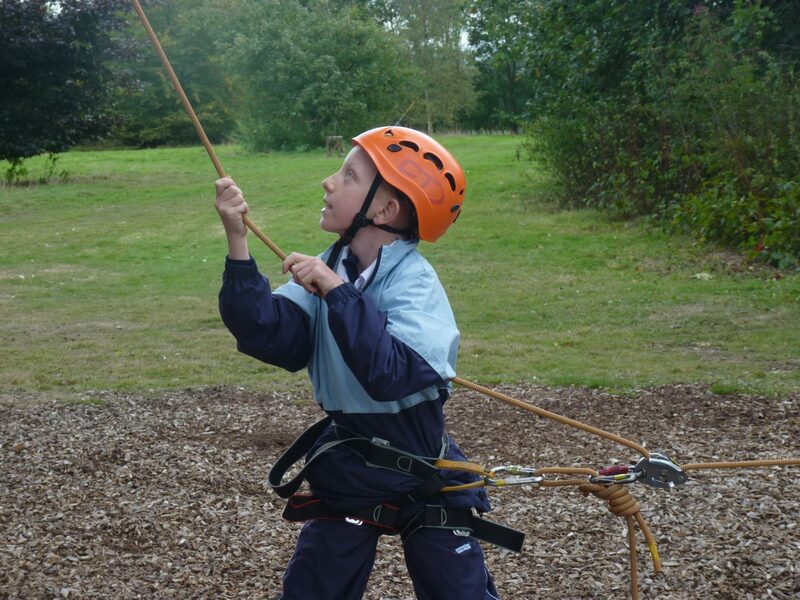 All children can either opt to play competitive sport matches for the school, or choose from an exciting array of activities, this can include a choice of Outdoor Education adventures starting with the art of climbing, learning how to handle ropes and how to be safe, whilst experiencing many opportunities to develop problem solving and teamwork skills. It’s also really good fun. The Dulwich Get Active team began work developing their own HIIT (high intensity interval training) workout which will form the basis of a new DVD that the children will produce for the younger Little Stream children. 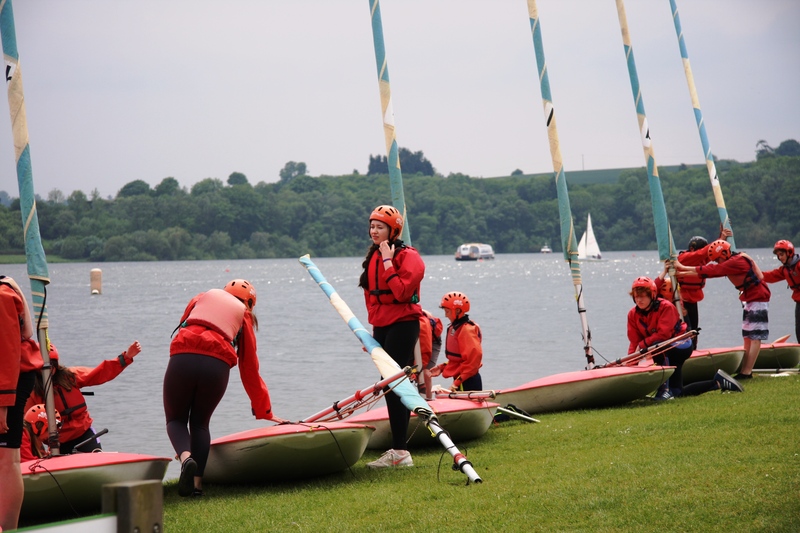 As the weather warms up in the spring and summer children can opt for windsurfing, sailing and paddle boarding at Bewl Water as well as mountain biking at Adventure Kent Swattenden and Bedgebury Forest. Further options range from mixed Tag Rugby to Ultimate Frisbee, encouraging boys and girls to play sport together. Rambling through the local Kent countryside is on offer, in addition to the orienteering and map-reading skills learnt at Dulwich Outdoors Club. Children are taller and heavier than they used to be – but they are also weaker and less fit than they were 16 years ago, according to a British study, published in the Journal of Science and Medicine in Sport. The researchers found they scored worse in tests including sit-ups and grip strength and the decline has been speeding up. There had been a 20% decrease in absolute muscle strength and a 30% decrease in muscle endurance over the 16-year period studied. Dr Sandercock said the current concept of a ‘healthy weight’ was misleading and that using Body Mass Index (BMI) in isolation was not an effective way to monitor health. Of the children studied, 80% had a normal BMI, but one in three of those was found to be unfit. At Hampton Court House, we are embarking on a programme specifically designed to increase strength in our pupils – introducing safe-lifting technique as part of the curriculum, progressing to teaching Olympic Weightlifting. 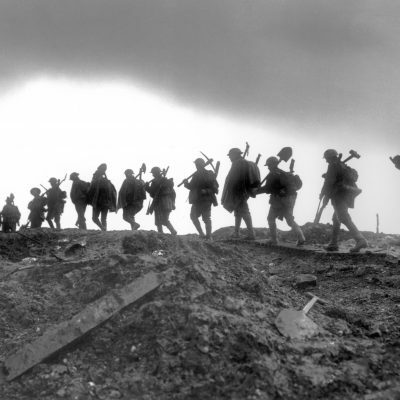 Strength is a key foundation for an active life and we will provide that foundation. 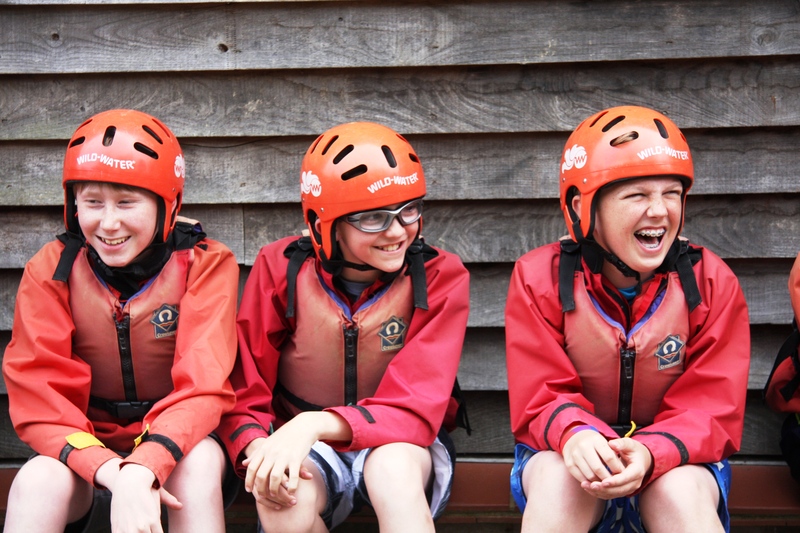 Hampton Court House’s sporting philosophy centres upon our pupils’ finding sports or activities they can be passionate about for life, because a physically active lifestyle will only happen as a result of each child’s discovery of joy in their sport of choice. This is our overall goal, but strength is our first priority in terms of physical development. 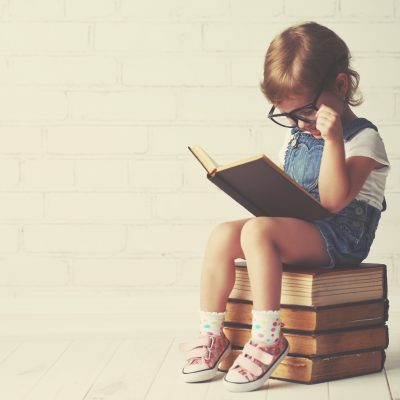 The idea of young children lifting weights is still controversial, with claims that lifting weights at an early age will lead to stunted growth, fractured growth plates and inflexibility as a result of becoming ‘musclebound’. But none of these fears are borne out by the evidence: with good coaching and qualified supervision there is actually a very low risk of injury to children who participate in weight training – in fact it is considerably lower than those of many of the traditional team sports that are commonplace in our schools. Injuries that were sustained by children while weight training generally come down to one factor: poor supervision. When unsupervised the chances of a young athlete attempting to lift with poor technique or with too much weight dramatically rises. It also increases the chances of ‘horseplay’ in the weight room; not surprisingly, the most common injuries to children in the weight room are a result of dropping weights on their own hands and feet. 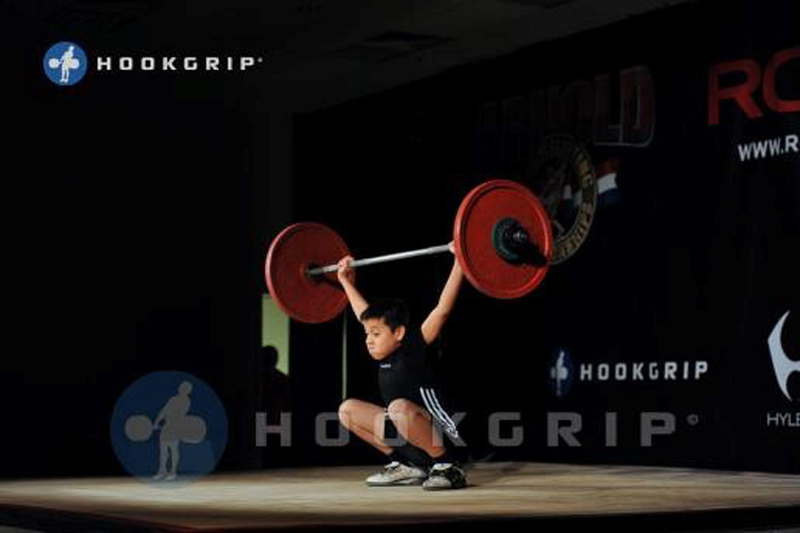 Many parents still fear that lifting weights at an early age will stunt a child’s growth; there has never been any scientific evidence that youth weight training is harmful to the normal growth and development process, but in fact youth weightlifters commonly display higher than average bone density. Weight training also helps young athletes develop strength. After a two-year study, researchers compared the strength of children who had lifted weights to those of the same age who had participated only in games. Those in the weightlifting group had gained significant strength compared to the others, without any reports of significant injury. Youth athletes who lift weights are also less likely to sustain injuries in other sports in which they participate and they also recover from injuries faster when compared to teammates who don’t lift weights. Bede’s has a national reputation for footballing excellence, with regular county, regional and national titles for the school’s teams and many pupils work as part of premiership academy sides, from Chelsea and Charlton Athletic to local side Brighton & Hove Albion, with whom Bede’s has a development partnership. But while Bede’s boys won the U18 English Schools Football Association Cup competition in 2009, the school’s current highest achieving side is its Ladies 1st XI, who last summer became U18 English School Champions. 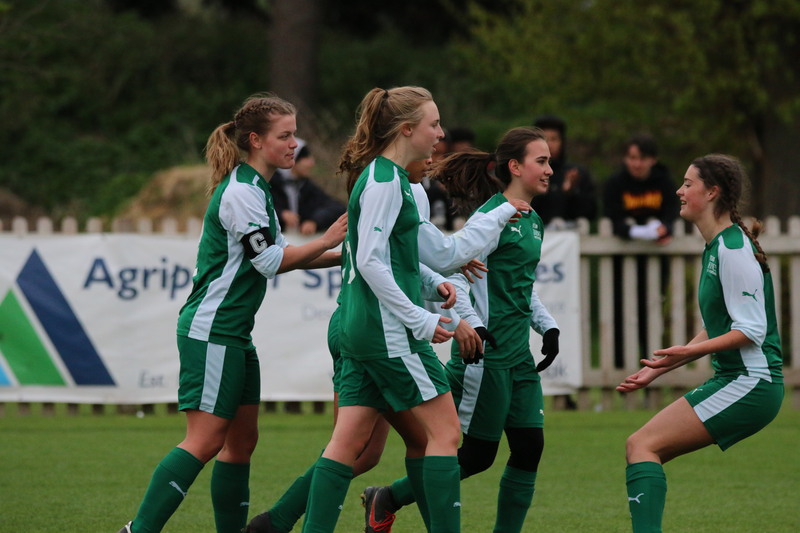 “Girls’ football at Bede’s has been on a real journey,” explained Bede’s Director of Sport, David Byrne. “Traditionally, independent schools are so-called ‘rugby schools’ and Bede’s is already an outlier for putting football to front and centre. Starting in earnest under the leadership of Bede’s Director of Football David Caryer and in tandem with outreach coaching assistance from Brighton & Hove Albion, Bede’s Ladies enjoyed early successes, with girls earning county, regional and national caps, and in some cases signing to professional clubs including Chelsea, but silverware was somewhat evasive. That was, of course, until last summer, when the Bede’s Ladies won the ISFA U18 National Cup. “I think that one of the best things about the side that won the competition is that not every girl in that team considers themselves to be seriously sporty,” Mr Byrne continues. “For some of them, a career in professional sport is undeniably likely, but for many more they only really started to play for the team because I or another member of staff encouraged them to give it a go.